This 92.1% figure isn’t something we made up…it isn’t even our own research. 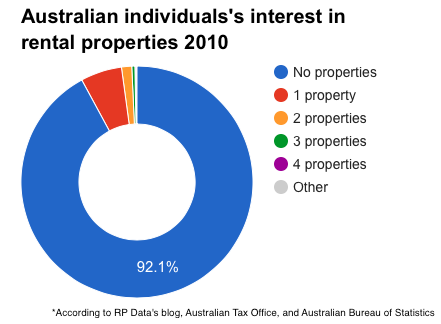 According to the Australian Tax Office, only 7.9% of Australians have an extra income stream derived from property. The other 92.1% are still fully dependent on their day job, pension plan, or relatives. The large majority of property investors in Australia are generating a negative income from their investments! Combine these two facts together and here’s the bottom line: Only 2.6% of Australians have one or more positive-income investment portfolios. Talk about a closed club! Is becoming a wealthy property investor just a far-fetched dream? A fairy tale? Or is there a tried-and-tested process that self-made investors follow that others aren’t aware of? Turns out… there is. And that’s exactly what this page is all about. Back in 2007, I was working a 9-to-5 job as a postie. I was renting an old 2 bedroom house with a pitiful amount of savings. I had the obligatory credit card debt to the eyeballs. My glass ceiling felt more like a concrete wall. I was obsessed with joining the prestigious club of self-made investors. I wanted to “make it” so badly. I read every book, attended every seminar and tried every new strategy I could put my hands on. I stumbled many times. More than I care to admit. Until one day I stumbled across something that changed how I invested forever. In fact, this one strategy enabled me to make more money in 9 months than I was making with my wage in a whole year. Fast forward a few years, and I went from my postie job where I made less than $35K a year, to transacting over $5M worth of property in the last 5 years alone. 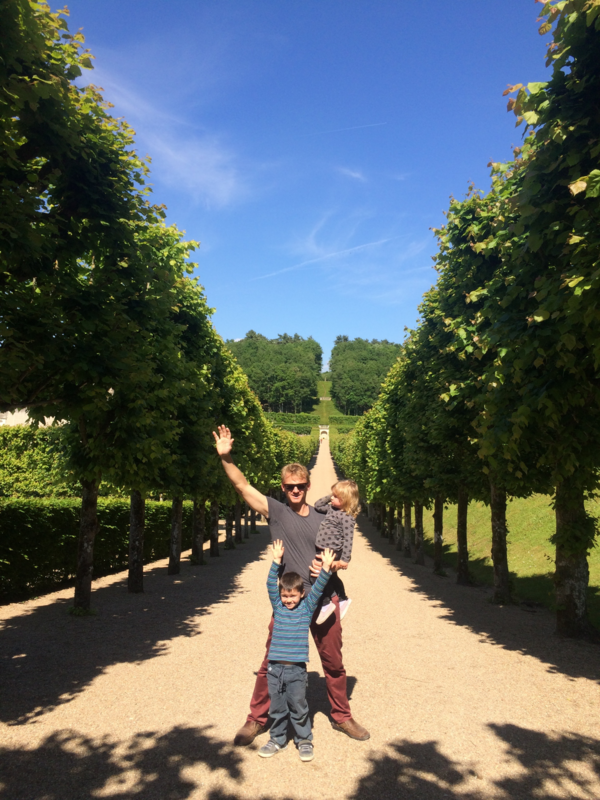 I moved with my wife and kids to France, and I left my day job forever. So I started documenting every single step I took to break free from my 9-to-5 prison. What I ended up with, is the 9-to-5 Property Investor “Action Plan”. Personally, I wouldn’t even attempt to invest in property without having a proven, step-by-step guide to follow, and this is especially true if you’ve never implemented a property project before. That’s why I’m so careful to document WHAT WORKS and put it into simple, easy-to-follow ‘Do It Yourself’ Action Plans – so that I’m able to replicate these strategies time and time again…. You see, I’m not a big fan of reinventing the wheel. I just find what works and repeat the process… and The 9-to-5 Property Investor Action Plan is a cookie cutter method. IT JUST WORKS. You don’t have to go at it alone anymore. Normally these Action Plans would sell for $77 - $97, but for a very limited time I’ll let you have instant access to this plan for just $27. And along the way I’ve perfected my property investing strategies. More importantly, like any good scientist, I DOCUMENT each strategy in step-by-step “Do It Yourself” Action Plan so my best ideas can be repeated and rolled out right across the country. An Action Plan is all meat and no fluff. If you want theory and waffle, go read a free report on “the top 10 mistakes investors make”. My Action Plans are all about taking action and getting results as quickly and easily as possible. I firmly believe that people who weren’t born into a wealthy family rich in knowledge deserve to succeed in property investing too. I believe that hard-working people, like you and me, who didn’t inherit a multi million dollar portfolio, deserve to be wealthy. It weeds out the freebie-seekers. I only want serious, committed people who take action, and in my experience charging anything…even if it’s just $1…gets rid of 99% of the tyre kickers.. I also believe that once you experience this Action Plan, you’ll want more and maybe…just maybe…you’ll come back and possibly even upgrade to one of our DIY Kits, masterminds, or memberships. Your login and access information will be sent to the email address you provide, and the next make will have all the info on how to access your Action Plan inside our secure membership site. “I never thought I'd have any leverage with my current wage until I found Matt's property investing strategies. Now I'm well on my way to creating long-term wealth even while working the 9-5!" "Having known Matt before he began his journey into financial independence I can honestly say he has “walked the walk”. If you want to succeed the “right” way, enjoying the whole process and the fulfilment that goes with it, using Matt’s strategies will go a long way towards achieving it.